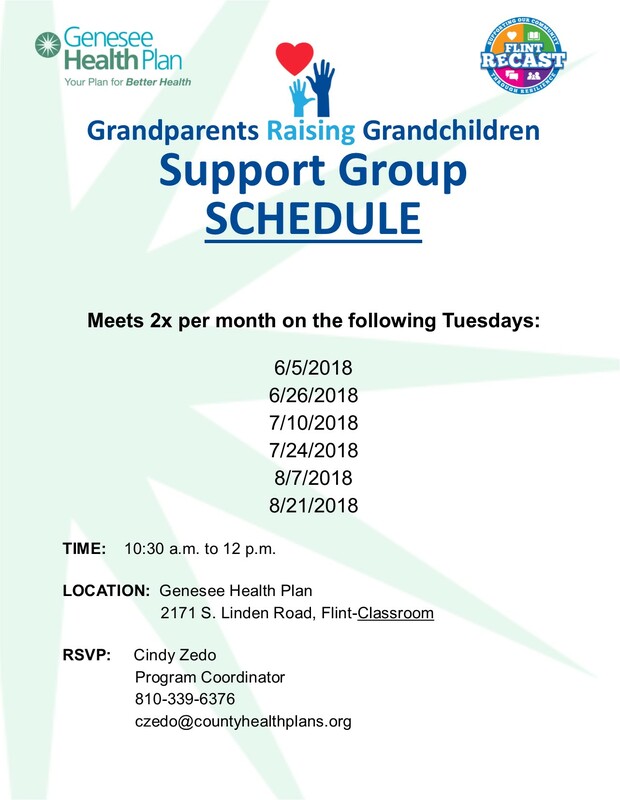 GHP to host two support groups per month for Grandparents raising grandchildren or another family members child. Interested attendees please RSVP to Program Coordinator, Cindy Zedo at 810-339-6376 or by email at czedo@countyhealthplans.org. See below schedule for more details!